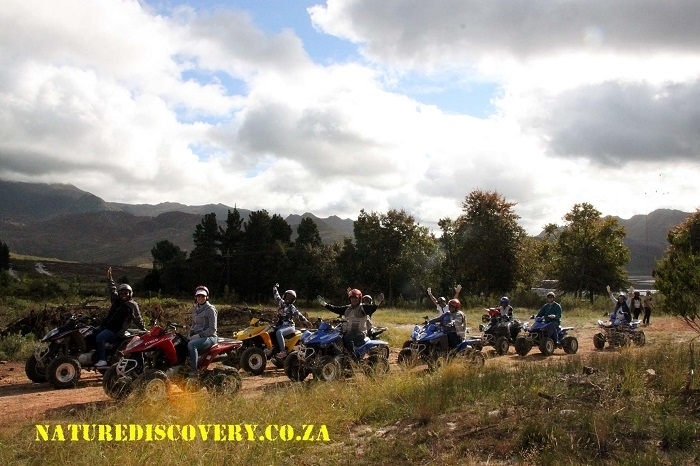 Nature Discovery Tours offers an Adventure Quad Trail option as one of our unique quad bike tours. 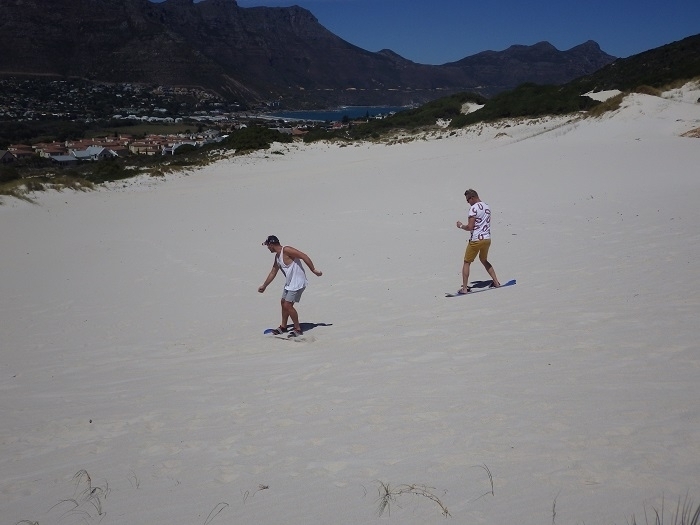 The trail will take you through South Africa’s natural habitat of our rare plant species called fynbos. 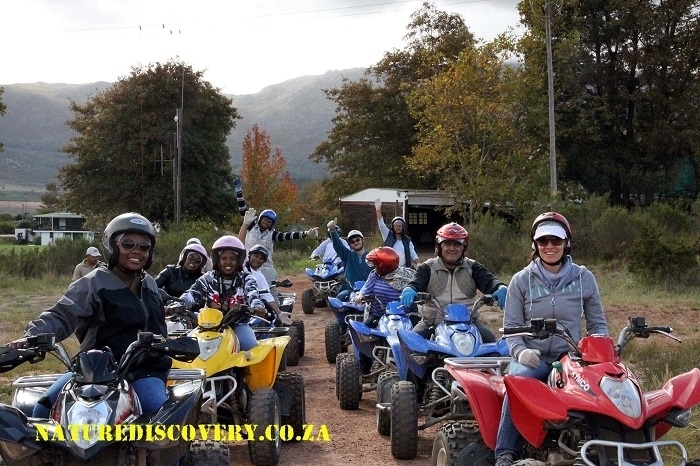 These quad biking tours are ideal for beginners. 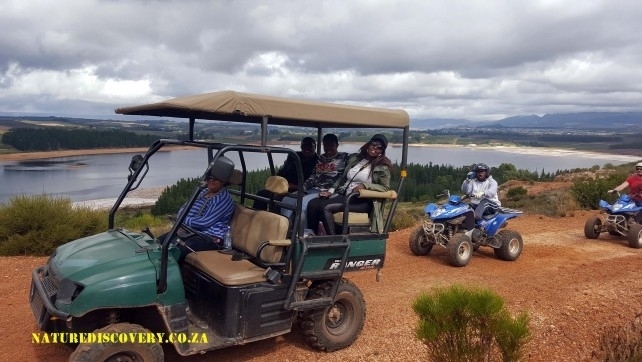 Together with an introduction to our spectacular environment, the quad bike tours are safe and easy, giving extra time to explore the special floriculture and mountain scenery. 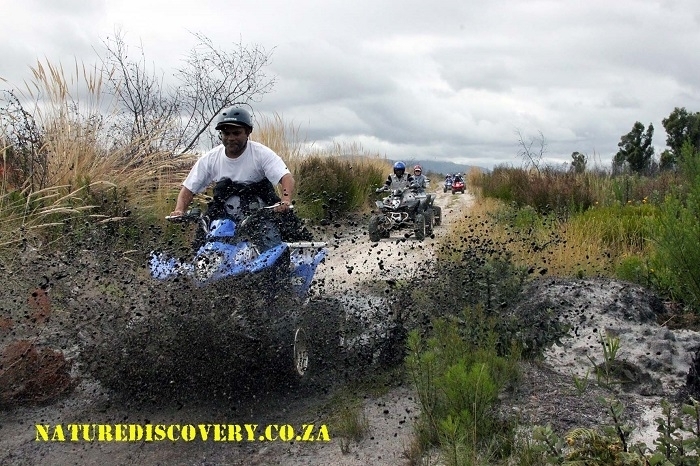 The Adventure Quad Trail is a 16km trail filled with adventure. On this trail we inform you about our Fynbos which grows in a 100km- to 200km-wide coastal belt stretching from the West Coast to the south-east coast. It makes up 80% of the Cape Floral Region. 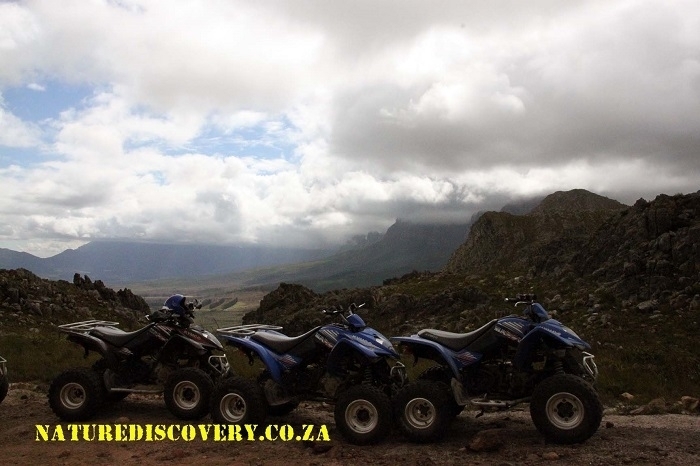 The Adventure Quad Trail tour will take you into the Hottentots Holland mountains allowing you to take spectacular photographs of the breathtaking views. This tour is an unforgettable and unique experience enjoyed by most! Inclusions Quad Bikes, helmets, briefing, permits, fuel, guide, refreshments en route. Weather Our activities proceed in all weather conditions, except severe conditions. If you are uncertain, please feel free to contact us the morning prior to your booking. Things to Bring Clothing For Quad bike riders: – Denims (jeans or other sturdy trousers) – Jacket / windbreaker – Sturdy shoes or boots. At Nature Discovery we offer unique tours which take you through South Africa’s natural habitat of our rare plant species called fynbos. These tours are ideal for beginners. Together with an introduction to our spectacular environment, the tours are safe and easy, giving extra time to explore the special floriculture and mountain scenery. Challenging and fun. your guide leads the way in to the mountains on your quad bikes. 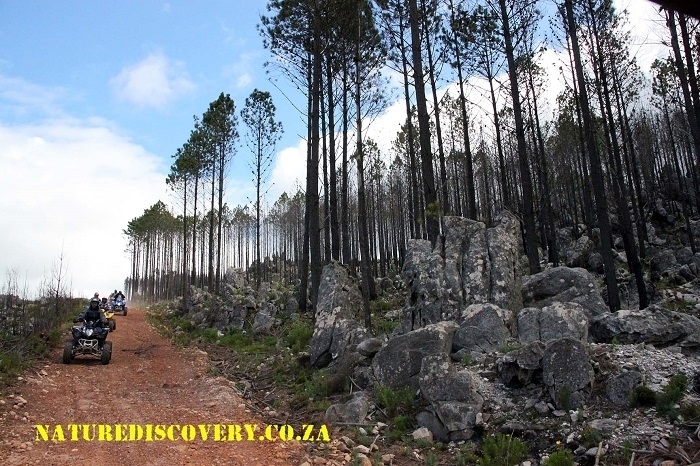 This tour takes you through the trails in between the fynbos into the mountains of the Hottentots Holland Nature Reserve. 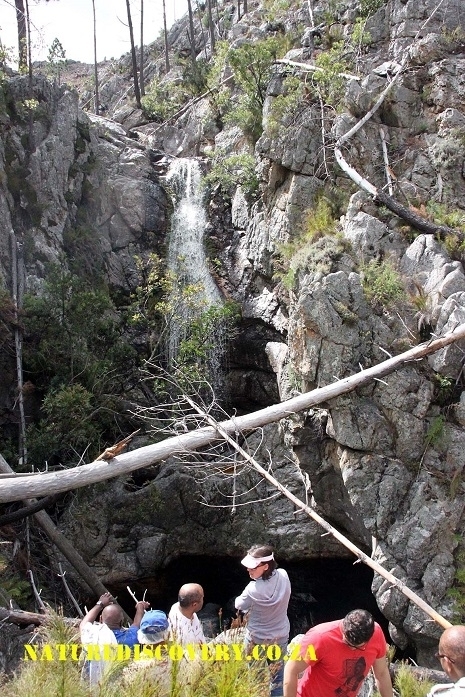 The Waterfall Quad Trail tour is a wonderful opportunity to take photographs of the natural beauty of the region. 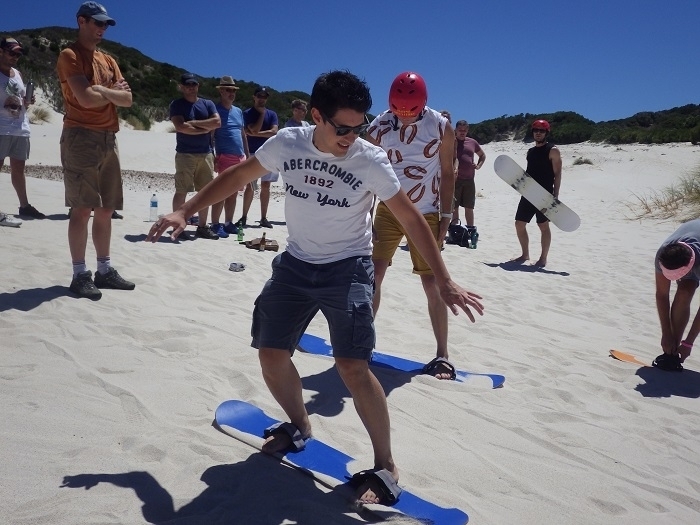 This is a truly unique and wonderful way to experience the Western Capes out doors in South Africa.The trails highlight is the 30 minutes spend swimming in the pools below the waterfall. The water is refreshing and in summer it will only take you a few minute to be dry once you have climbed out of the splash pools. We serve snacks and refreshments en route on this tour at the view point. Things to Bring Clothing For Quad bike riders: – Denims (jeans or other sturdy trousers) – Jacket / windbreaker – Sturdy shoes or boots. Swimming clothes in summer. 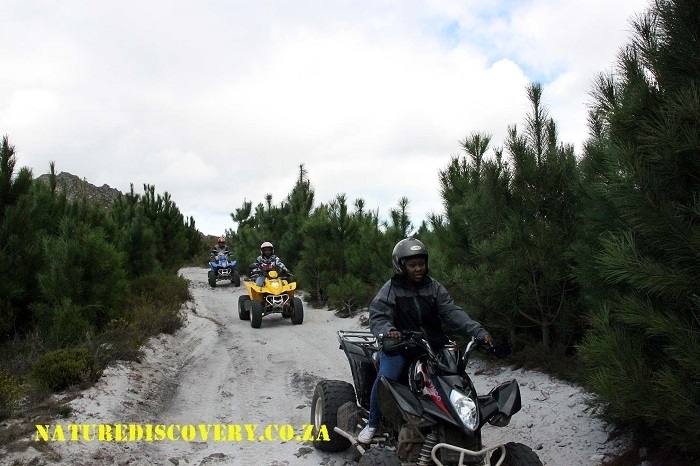 The Full Day Quad Trail is one of our most wondrous trails which runs for approximately 50km. Optional is a swim at one of the waterfall pools. 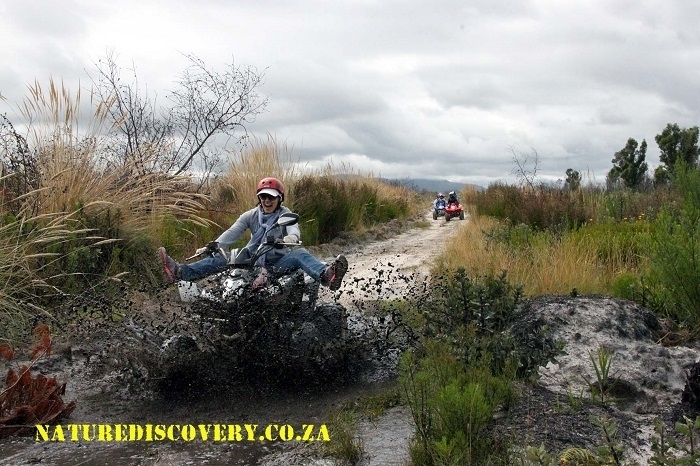 Riders must have previous quad biking experience. we do not race but some of the trails are narrow and high in the mountains. 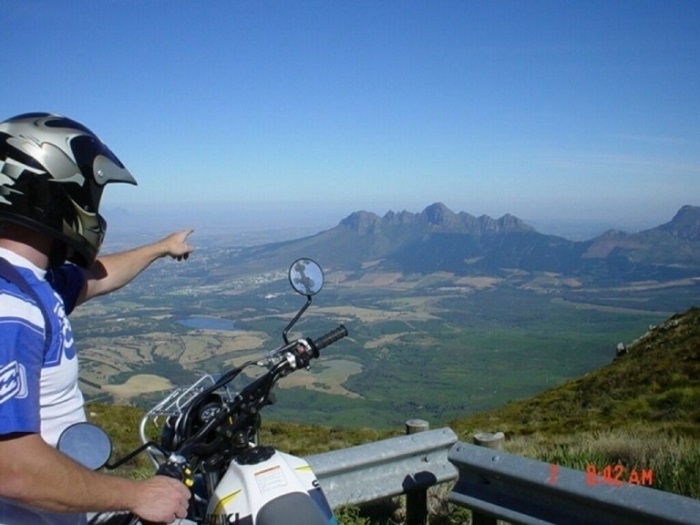 The tour takes you through the forest track and into the Hottentots Holland Nature Reserve where you get the privilege of discovering unusual geological rock formation, extraordinary mountain passes and breathtaking scenery. The fynbos habitat is varied with excellent photographic opportunity. At the waterfall or at a massive weir that hardly has any visitors – We serve a smart picnic lunch that is thoroughly enjoyed by all at one of the viewing points or points of interest. 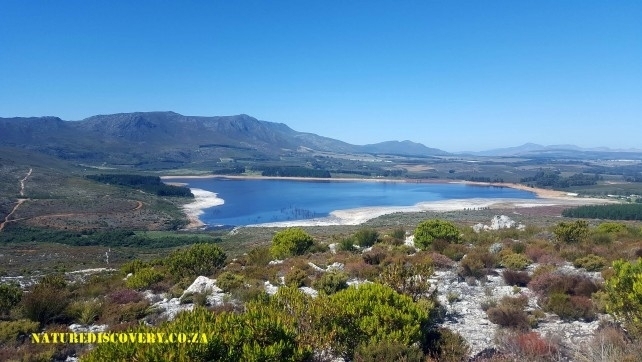 At Nature Discovery we offer unique tours which take you through South Africa’s natural habitat of our rare plant species called fynbos. . Together with an introduction to our spectacular environment, the tour are safe and Semi easy, giving extra time to explore the special floriculture and mountain scenery. Challenging and fun. 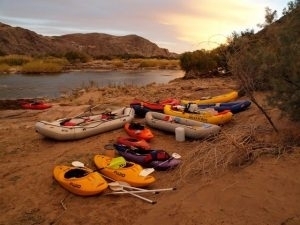 Our Orange River Rafting trips never exceed the 20 guests per Orange River Rafting group – We love to have small intimate groups on the river with also less of an environmental impact and also more attention to our guests. Our group sizes can however be larger if you’re a corporate, school group or just a large family. 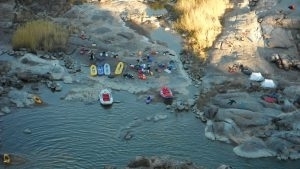 This section of river also provides for ample fun with white water rapids and spectacular camp sites. — BOOK NOW – Limited space. 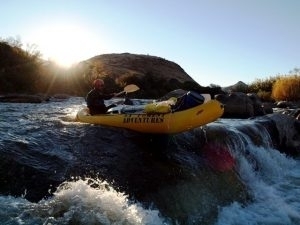 The Orange River Gorge is the most spectacular and easy runnable white water section of the Orange River Rafting Spencerian. Deep in the Kalahari, the river cuts through a moonscape of granite cliffs with the amazing Gariep Falls tumbling into the Orange River Gorge. We run downriver over several days. Our Camp sites along the river are as unique as the experience. 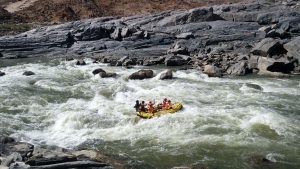 The Highlight of the Orange River rafting trip will be the portage into the gorge itself – Once at the bottom of the Gorge we paddle a few meters up to where we see the Waterfall dropping into the Gorge itself. Here we will abseil or lower everything in to the Gorge +/- 40 meters down to the River below the Waterfall. The Orange River Gorge is a very remote destination and only accessible by foot or rafting – it is one of the most undisturbed sights you will ever witness. This experience will be one of the highlights of our expedition if not your life. We will also spend some considerable time “monster fishing” and if you don’t know how to fish one of our experienced guides will assist you. At night around a small contained fire we will look up at the stars and experience a sight unlike you have ever witnessed. 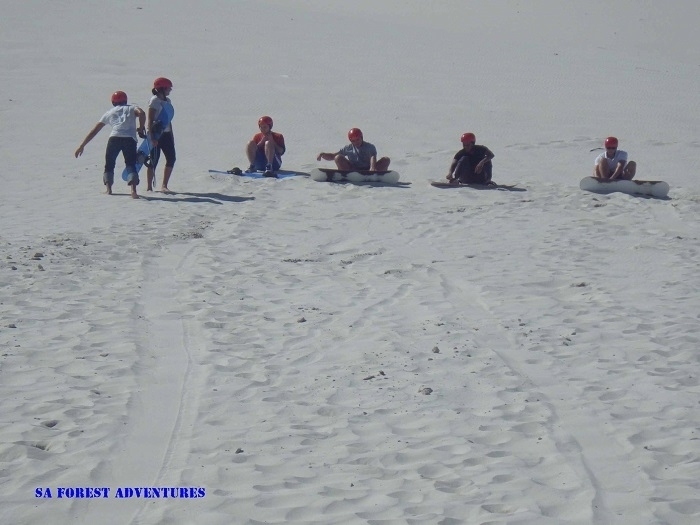 If your interested let us know and we will forward you the Information you need – Our Orange river rafting expedition experience will ensure you have memories for a life time. 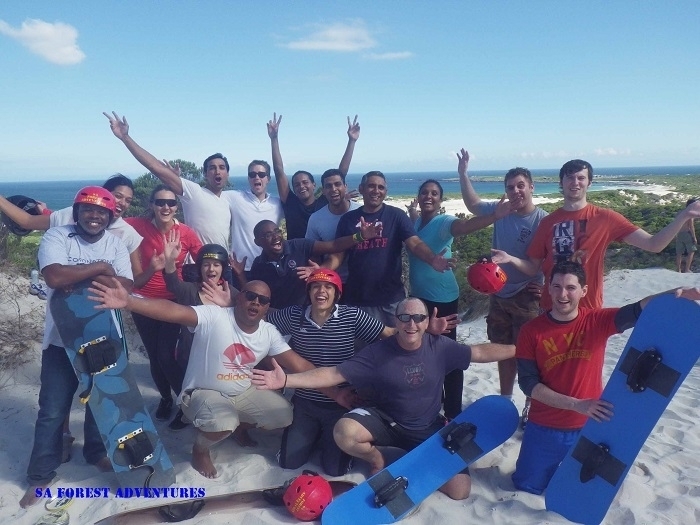 This is a must for any bucket list – we also cater for large groups and families and will adapt our itinerary to fit your needs and requirements.